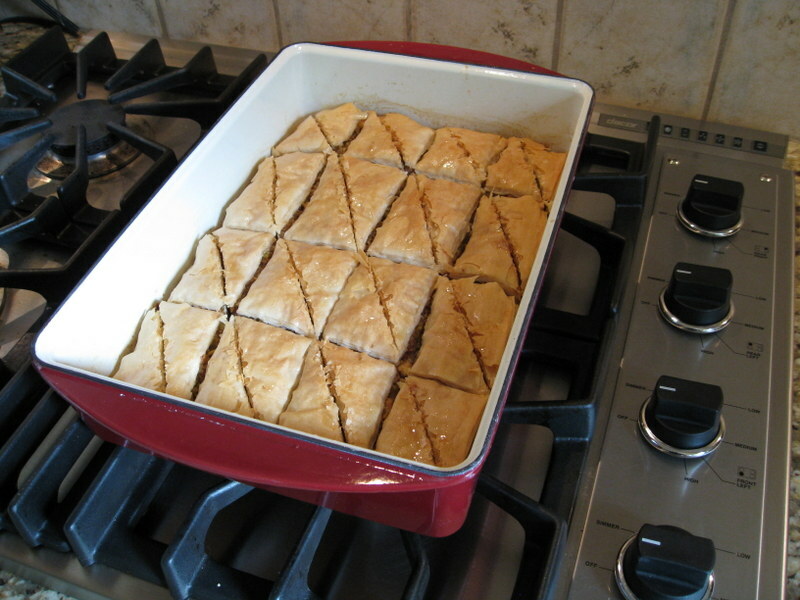 I made this baklava and it was sticky-gooey-good! It rivaled any I’ve had at Greek restaurants and pastry shops. I should not have attempted this recipe on a day that I knew my baby girl was going to interrupt me soon – layering the pastry requires time and patience. My work was worth it with the results, though! I took this to a family gathering and everyone slowly savored their sweet slices over coffee. I’ll be making this one again, but maybe after my daughter is old enough to enjoy it too! This recipe was originally printed in the April 2011 edition of Bon Appetit and can be found here on epicurious.com.